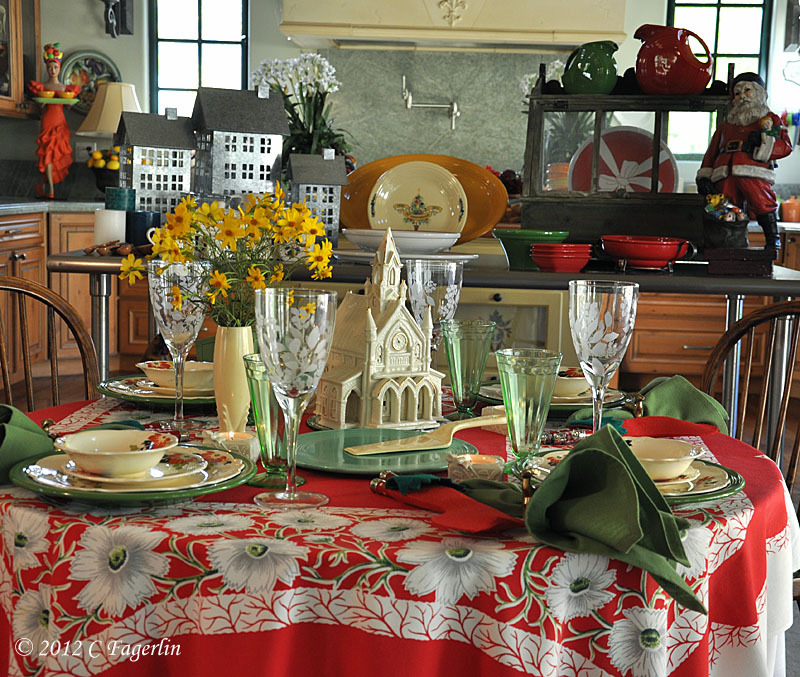 Homer Laughlin China Co called it "Red Beauty" and it was a treatment used on several different shapes. It is more commonly called "Clematis" by collectors. Here it is on Virginia Rose. 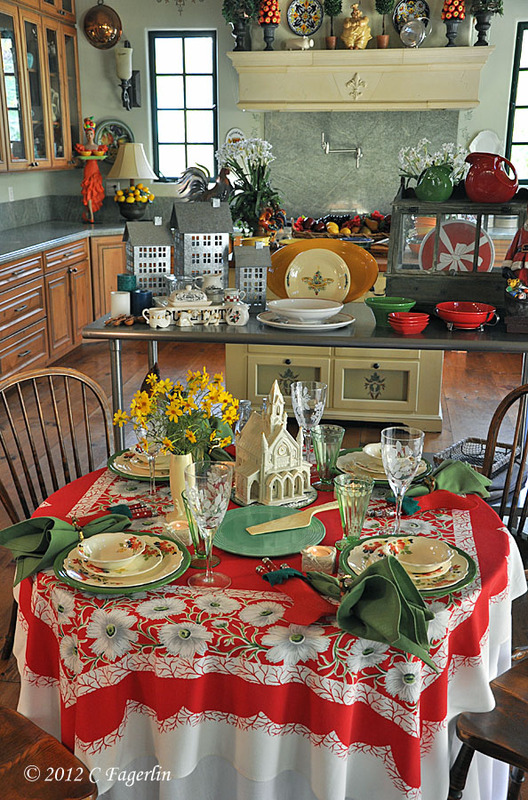 These dishes used to live in Virginia with a dish friend and fellow Tablescape Diva. I'm so happy they decided to join me here in California for Christmas. 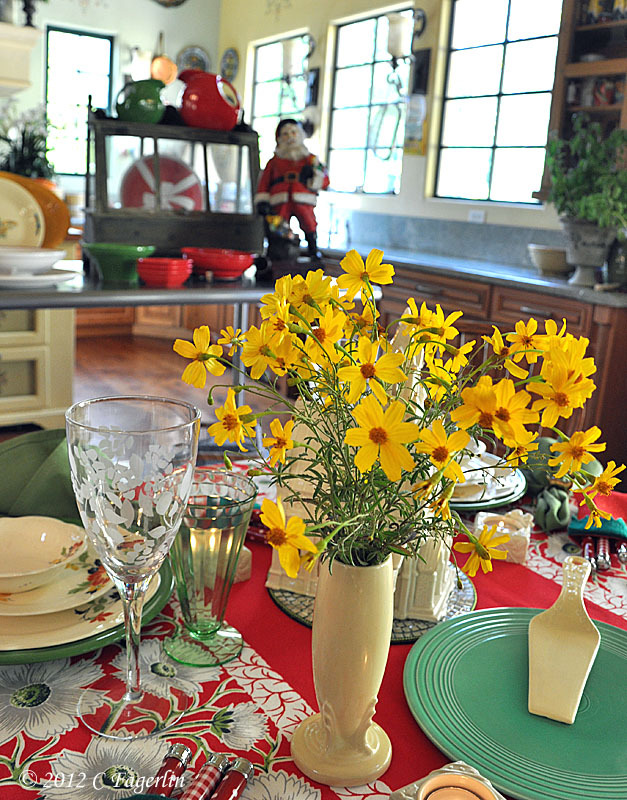 It has been such a mild early Winter- Late Fall, this cheery floral Christmas table seems just right. 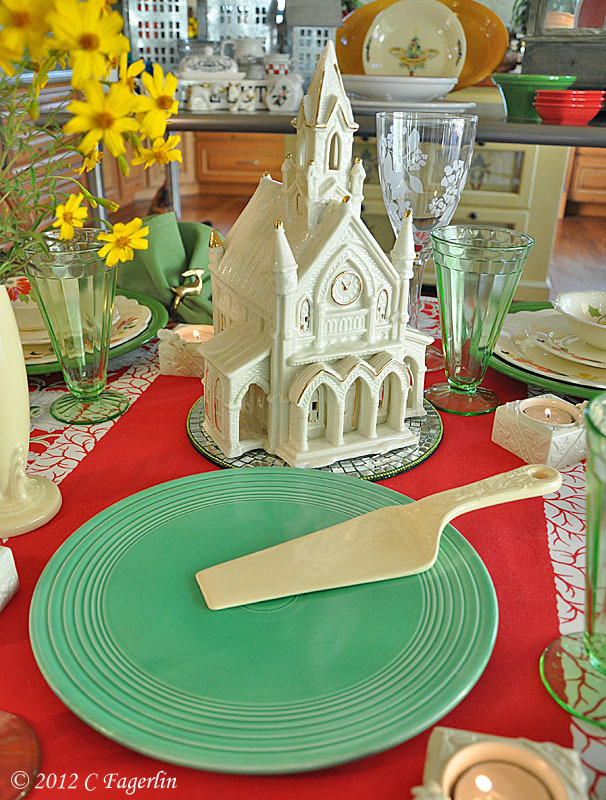 Additional vintage treats include the Fiesta Cake Plate in Light Green. 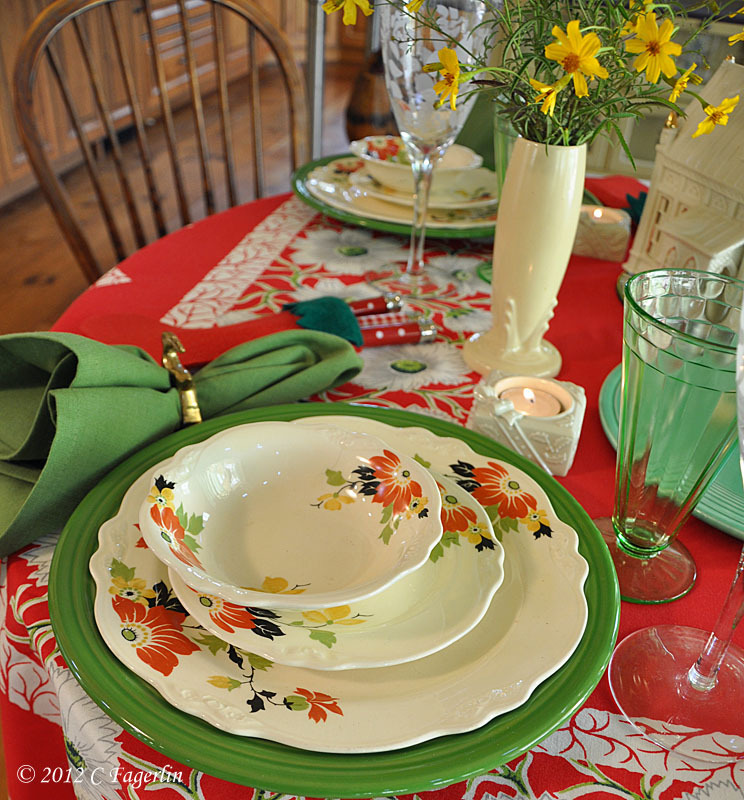 Completely flat and NOT a regular dinner plate, the Cake Plate is a highly sought after piece of vintage Fiesta. 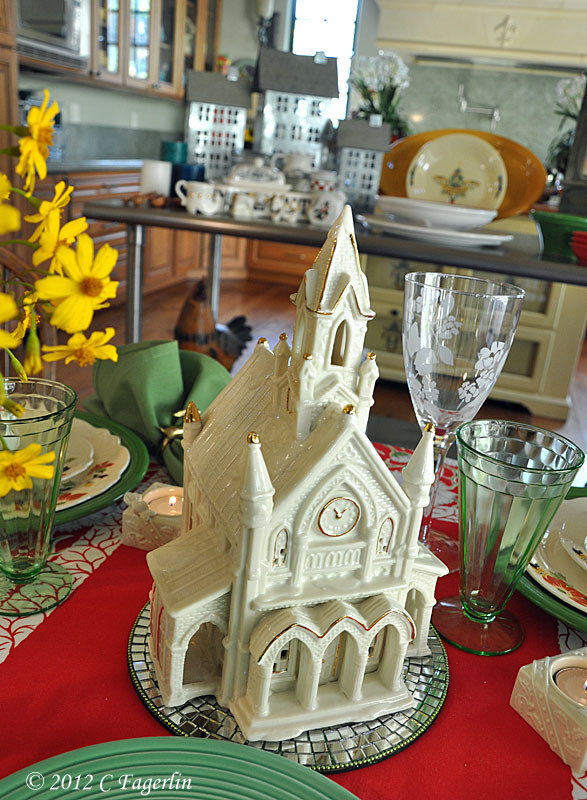 Here it is topped with a vintage Kitchen Kraft Cake Lifter in Ivory. 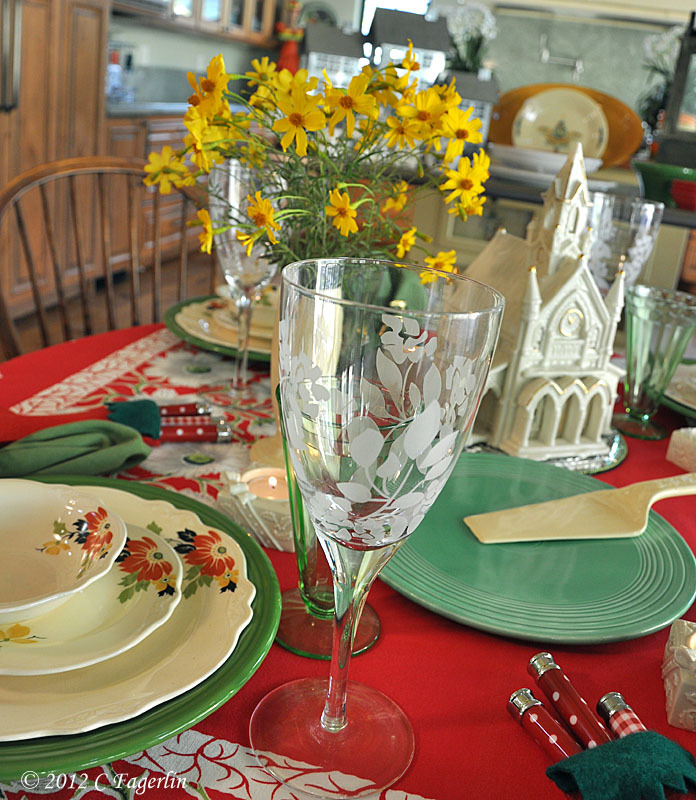 Vintage Depression Glass in green and the goblets are from Pier 1. 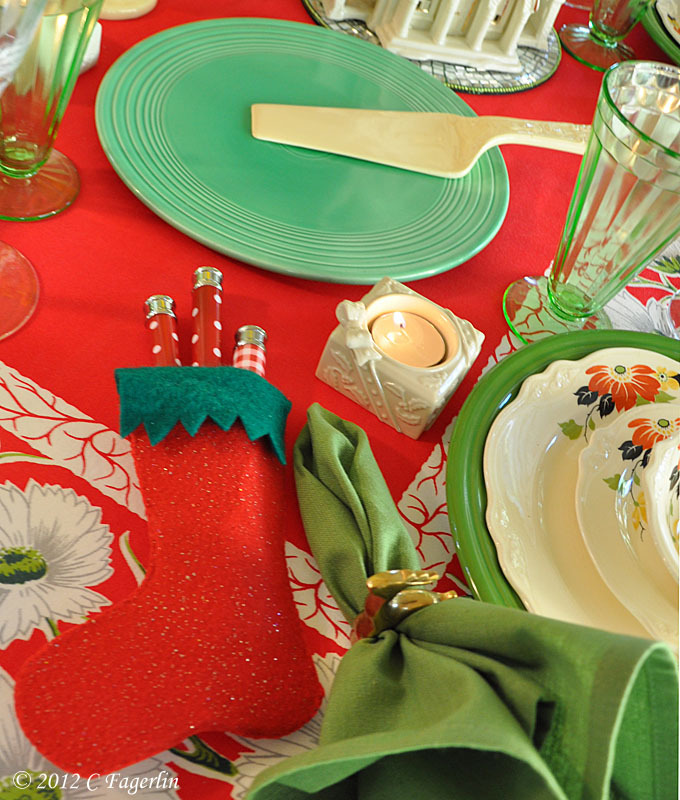 Contemporary flatware is hiding in the little felt stockings. of my winter garden and bursts into bloom as soon as the first cold snap arrives. You can see additional images at a recent post. Beautiful!! I love your cake plate and cake lifter! 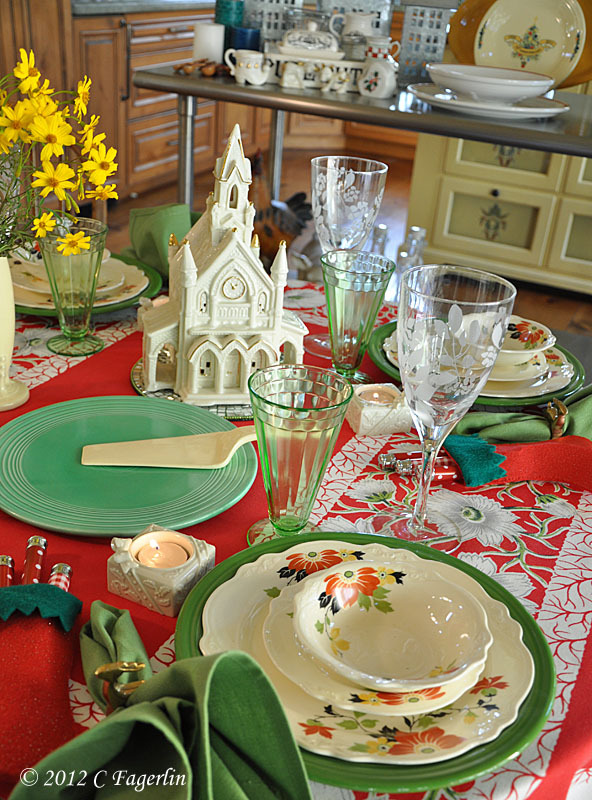 The Clematis dishes are so pretty and I really like the way you tied them into a Christmas tablescape. I hope you have a wonderful, blessed Christmas. 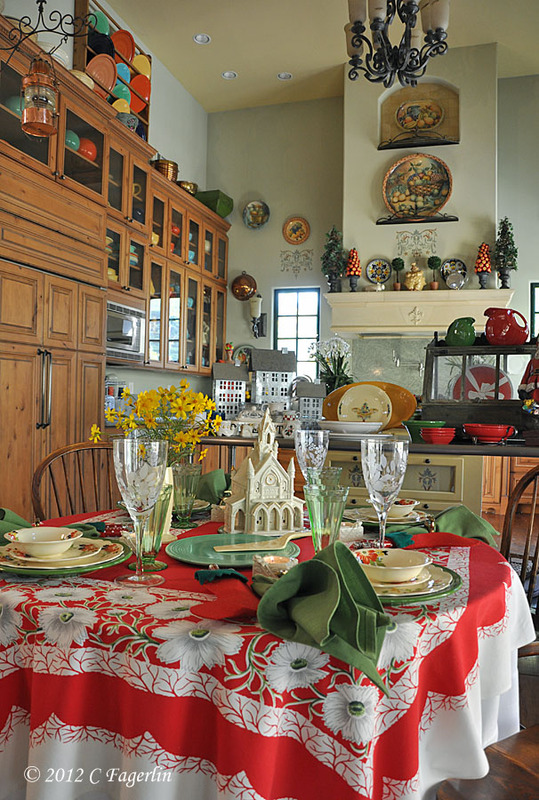 How perfect for a California Christmas! I love the new angle on TLRT, too! 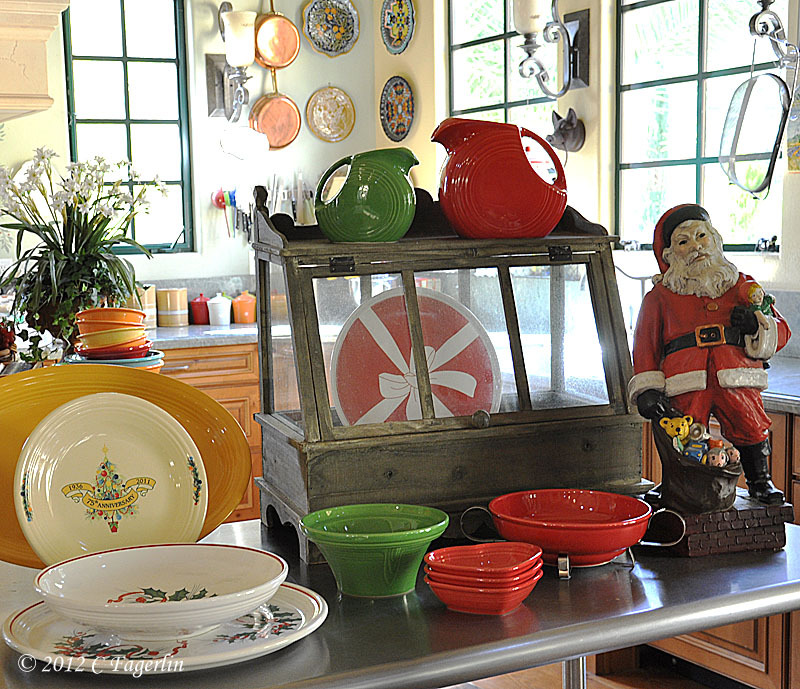 Thanks, loving my new dishes from EE!